A faulty product, inattentive driver, negligent medical professional, or an unsafe environment – they all can cause life-changing, long-term injuries that can compromise your physical and emotional well-being. If you’ve been injured because of another person, business, or organization has been careless or negligent, get New Mexico personal injury attorney Kallie Dixon on your side. Call Albuquerque, New Mexico Personal Injury Attorney Kallie Dixon for an initial consultation right away. 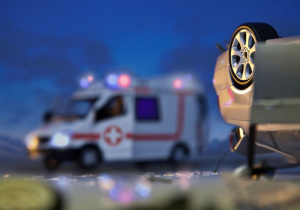 Personal injury cases are about much more than addressing your immediate injuries. Medical bills add up quickly and can jeopardize your financial stability as well as your family’s security. Taking time off from work to heal can result in missed paychecks. And, in some cases, long-term side effects from an injury can impact your career and future earning potential. That’s why Kallie Dixon takes an aggressive stance with all personal injury cases and works diligently to get the maximum compensation for her clients. – Caring – Behind every personal injury case is an individual with goals and dreams. Ms. Dixon handles every case herself. She gets to know her clients and can be with them at every turn. – Aggressive – Ms. Dixon has successfully brought cases against a range of negligent individuals and companies. Whether through settlement or a trial, she holds the responsible party accountable and gets her clients the compensation they deserve. – Skilled – With her years of experience handling everything from medical malpractice to vehicular accident cases, Ms. Dixon knows the nuances of the law, is always well prepared, and is adept at handling even the most complex personal injury cases. 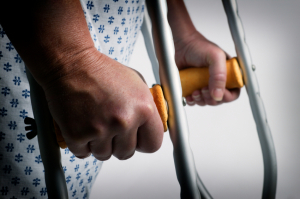 If you’ve been injured, click here and read this to learn more about your rights. If you have a personal injury case, call New Mexico personal injury attorney Kallie Dixon today at 505-242-8000.